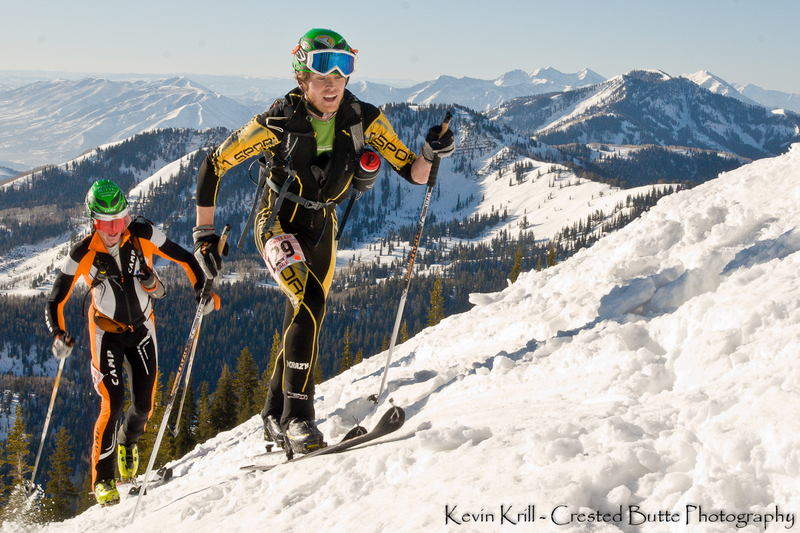 TEAM CRESTED BUTTE: Wasatch Powder Keg Recap- Miss Ya Rando Steve! Wasatch Powder Keg Recap- Miss Ya Rando Steve! 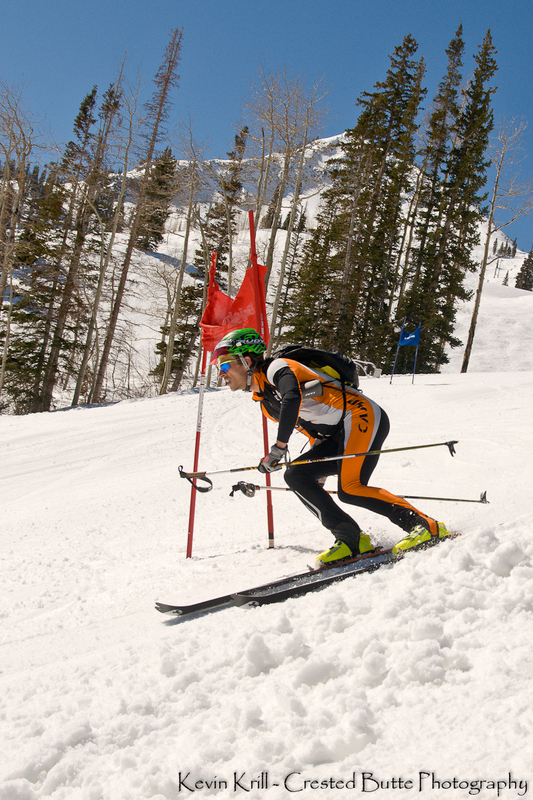 There are a few "must do" races on the US Skimo Circuit....Crested Butte, Jackson Hole, and Wasatch Powder Keg. 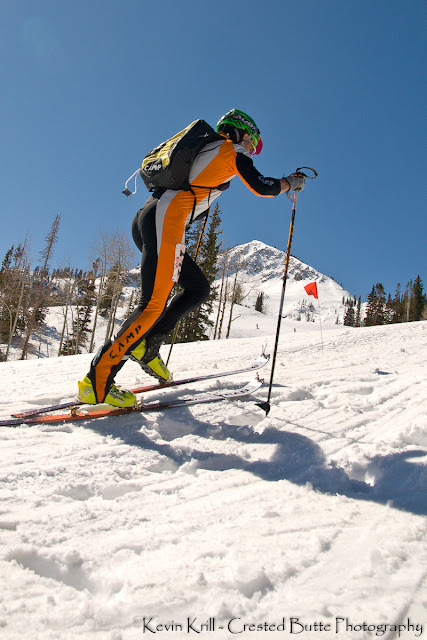 Utah only has one marquee race, and that's a shame because they have great terrain and a great ski touring culture. Now they can lay claim to a Citizens Series that gets close to 50+ racers and over 160 athletes at this past weekend's, 10th Annual Wasatch Powder Keg. The race venue has changed over the years from Alta Ski Resort (where I did my last Powder Keg in 2007) to the new venue at Brighton. Speaking of 2007 it was the last year Steve Romeo did the Keg and I subsequently got to be on the US Skimo Team with him that competed in the World Championships in Switzerland. Sadly, Steve passed away in an avalanche in Teton Park on Wednesday, March 7th. On the drive over to UT from CB on Friday, all we could talk about was trying to come to grips with this sport we love and the risk/reward model we have chosen. Steve was well know through www.Tetonat.com and got his start to a degree in rando racing, hence Rando Steve! Needless to say, he was on my mind at the Start line and I wanted to do him proud that day....LIVE TO SKI! So the "World's Greatest Snow" didn't materialize at Brighton (or for that matter anywhere in the Western US) as we all have been under High Pressure, so it was techie skinning/skiing conditions with classic, Wasatch refrozen crust. Jon Brown skinning up the "World's Greatest Snow"
Myself and US National Champion Luke Nelson, played cat and mouse for 2nd/3rd the rest of the morning...Luke pulling away on the two boot packs and me, reeling him back in on the technical downhills. The course had seven skin rips, two boot packs, and seven more re-skins with lots of off-piste skiing/skinning terrain....a really great course with just over 6000' of climbing/descending. In this type of snow, technique is vitally important to stay efficient otherwise you are off the back. At the top of the last descent Luke and I both mentioned that "this one is for Romeo" and raced to the Finish line, as was the case all day, I caught and passed Luke but with about 300M to go I took a slight deviation and was forced to shut down my speed as Luke zipped by and crossed two seconds in front of me to get 2nd. Ugh! 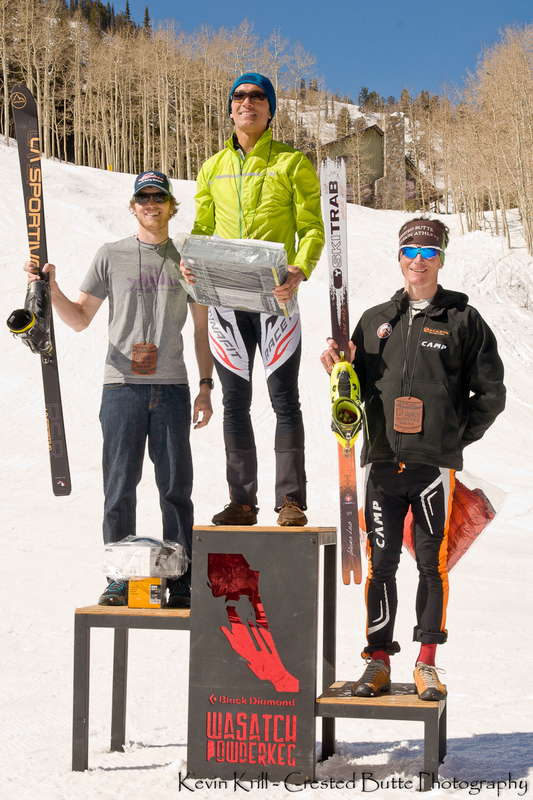 I was bummed because I have lost 1st in the Teva Games and Power of Four in Aspen by two seconds at both races. In the big picture, a podium slot is always appreciated and it was for Steve! Jon Brown, in the end finished 6th for Team CB. Great day, great weather and a super well organized race. We will be back for "The World's Greatest Snow". Live to Ski! Next up Elk Mountains Grand Traverse!